Universal PicturesThere’s a psychological reason why she went nuts. 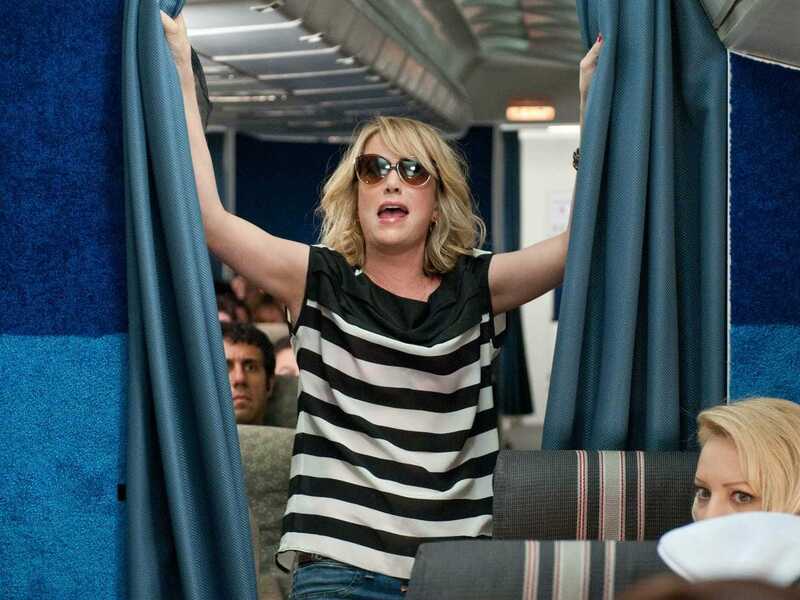 Don’t judge, but one of my favourite movie scenes of all time is the one in “Bridesmaids” where Kristin Wiig’s character, Annie, goes berserk on a plane. After popping some anti-anxiety medication and washing it down with alcohol, Annie tries sneaking into the first-class cabin and ends up getting into a massive altercation with one of the flight attendants. I couldn’t help but think about this scene while reading through a recently published paper on “air-rage” incidents, when fliers become abusive or unruly toward crew members or other passengers. I learned about the study from Susan Fiske, a psychologist at Princeton University, when we spoke at the Psychological Science convention. According to the study, there’s one key factor that may influence the likelihood of air rage: being reminded of social inequality. That is, trudging through first class to your economy seat. For the study, researchers at the University of Toronto’s Rotman School of Management and Harvard Business School looked at flights from a large international airline over several years. They focused specifically on the thousands of disruptive passenger incidents that had transpired. The researchers also recorded the flight characteristics, including the plane layout, where every disruptive incident that had occurred. Results showed that air-rage incidents in the economy class were nearly four times more common in planes with a first-class cabin. That means the presence of a first-class cabin makes people just as angry as a 9.5-hour flight delay. What’s more, air-rage incidents were more than twice as common in planes that required passengers to board from the front, meaning everyone had to walk through the first-class cabin. One of the study authors, Katherine DeCelles, told New York Magazine that airlines might reduce air-rage incidents by keeping the curtain between cabins open and not repeatedly telling passengers that they can’t use the bathroom in first class. As for passengers, perhaps simply knowing that walking through the fancy section might make you angry will help you control the potential eruption. I know I’ll think of this research every time I board a plane. Instead of channeling my inner bridesmaid, I’ll try to do some deep breathing exercises — and keep the glaring at the fancy folk to a minimum.